Mike Lazaridis, ever the boy electrician, liked to relax by tearing apart small machines in his spare time. Just as he once opened radios in his basement lab for fun, Lazaridis lifted hoods on competitors’ phones. Staff visiting his third-floor office in a building called RIM 4 grew accustomed to disemboweled phones with chipsets, antennas, and wires strewn across his desk. Usually the desktop autopsies confirmed Lazaridis’s faith that BlackBerry was the smartest phone on the market. In the summer of 2007, however, Lazaridis cracked open a phone that gave him pause. “They’ve put a Mac in this thing,” he marvelled after peering inside one of the new iPhones. Ever since Apple’s phone went on sale in June, critics and consumers were effusive about the sleek phone’s playful touch screen, elegant graphics, and high-resolution images. Lazaridis saw much more. This was no ordinary smartphone. It was a small mobile Apple computer whose operating system used 700 megabytes of memory – more than twenty-two times the computing power of the BlackBerry. The iPhone had a full Safari browser that traveled everywhere on the Internet. With AT&T’s backing, he could see, Apple was changing the direction of the industry. 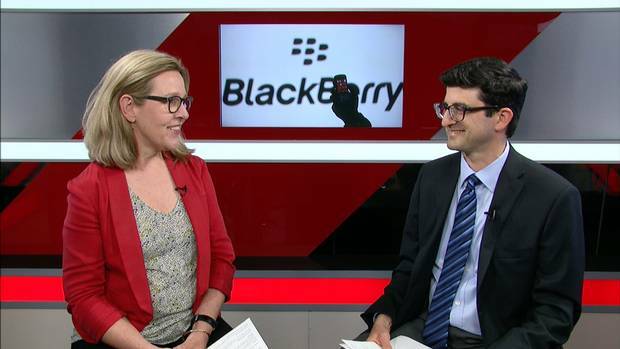 Reporters Jacquie McNish and Sean Silcoff on researching and writing Losing the Signal: The Spectacular Rise and Fall of BlackBerry. With every click of his PowerPoint presentation, Lazaridis felt his audience grow slack and bored. It was late August 2007 and RIM’s boss was making a pitch in a Manhattan hotel meeting room to a team of senior executives from Verizon and its British affiliate Vodafone. Lazaridis and chief operating officer Larry Conlee had been invited to New York by the carriers to propose new phone ideas. Although the iPhone wasn’t mentioned, there was no doubt Verizon and Vodafone were looking for a device that might supplant what was now America’s fastest-selling smartphone. Judging by the drooping faces of John Stratton, Verizon’s chief marketing officer, his colleagues, and the executives from Vodafone, Lazaridis was losing the room. Verizon had been caught off guard by iPhone’s ascendency. Two years earlier, Verizon rejected an overture from Steve Jobs to partner with Apple on its plans for a new phone. A stickler for bandwidth reliability, the New York-based carrier wouldn’t relinquish control of its network to an unseen phone Jobs wanted complete authority to design. Like Lazaridis, Verizon executives correctly predicted iPhone traffic would create gridlock on AT&T’s network. What they didn’t anticipate was that consumers didn’t care. A multibillion-dollar market in carrier revenue was opening up and AT&T had a lock on the hottest device. RIM’s Bold was no match for the iPhone. RIM had its own reasons for backing the kind of touch phone that Lazaridis had initially and so publicly disdained. Verizon and Vodafone were two of the world’s biggest carriers with deep ties into the U.S. and European consumer phone market. Their endorsement of Storm came with an estimated $100-million marketing budget and thousands of retail stores to promote the phone. If Storm took off, the two carriers could potentially sell millions of phones. RIM could stand toe-to-toe with Apple. This was the biggest break in RIM’s history. When Lazaridis and Conlee returned to Waterloo, Balsillie had only one reservation about the Verizon contract. RIM had to make the transformative phone in nine months. Was it possible for RIM to deliver in such a short time frame? The answer, Lazaridis and Conlee agreed, was yes. Conlee broke the news about RIM’s ambitious deal to a select group of engineering executives shortly after the Manhattan meeting. In a room located adjacent to his office in RIM 4, Conlee outlined the secret project for the company’s first touch phone. The code name for the product was Project Storm, a nod to the disruptive impact RIM hoped the phone would have on the market. But that day the name captured a blizzard of objections from the company’s engineers. RIM was racing to roll out Bold phones for 2008; now it wanted to shift gears and create a new phone in nine months! 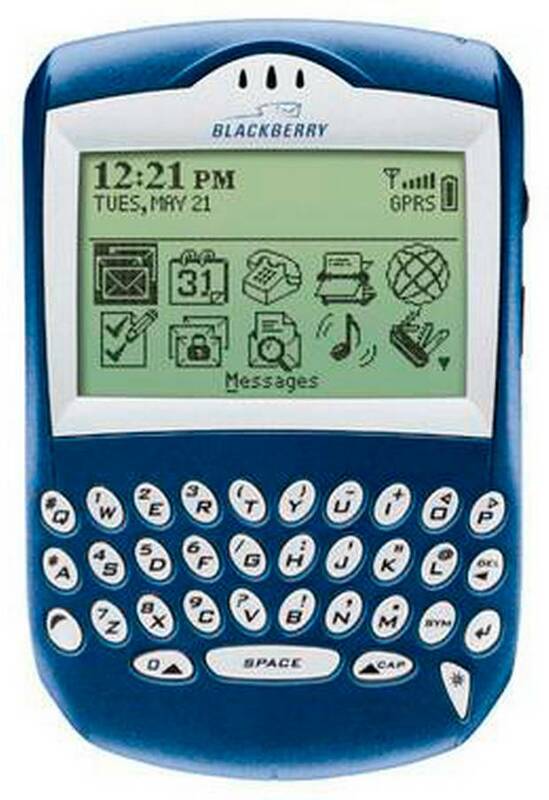 It took eighteen months to create a new BlackBerry. A touch phone was something else. Although Storm would use BlackBerry’s existing operating system, it would need new hardware, radio and antenna configurations, and additional software. RIM products were reliable, never this rushed. There would be no time for proper “soak-testing”– engineering talk for working bugs out of software. Waving off protests, Conlee, RIM’s product enforcer, asked each engineer to explain what he or she needed to make the touch phone happen. The room of problem solvers reluctantly itemized the parts, software, and staff they would need, immediately. Conlee then turned to Perry Jarmuszewski, a soft-spoken radio engineer who had been with RIM for more than a decade. “Perry I guess you’re good to go. You haven’t said anything,” Conlee offered. On a scale of 0 to 10, if 10 means no way, then this project is an 11. It’s impossible. It’s something I would not be able to deliver. As engineers filed out, they looked anxiously at RIM’s chief technology officer, David Yach. He’d just returned from a short holiday ready to devote the next months to fine-tuning the Bold phone. Now this. Yach would later say he and his colleagues understood the importance of the touch-phone contract. “But the importance didn’t mean we could get it done any faster than we’d ever built a phone before,” says Yach. After years of flying below the radar, RIM’s chiefs were in the limelight as Lazaridis and Balsillie won awards and mainstream media attention. In March 2008, Wall Street’s weekly financial bible, Barron’s, called RIM’s co-CEOs “under-appreciated northern lights,” adding both to its annual list of the world’s best CEOs. Also on the list was Steve Jobs. After Mac computers, iTunes, and the iPhone, Jobs was Silicon Valley’s undisputed king of cool. By comparison, Lazaridis and Balsillie were bright but awkward public speakers. When Jobs spoke, his fans cheered. When Lazaridis and Balsillie stepped onstage, people sometimes scratched their heads. “Um, no,” Balsillie laughed, “we’re a very poorly diversified portfolio.” “You’re just going to focus on one thing!” said Stroumboulopoulos. “It either goes to the moon or it crashes to Earth,” Balsillie replied. Translation? 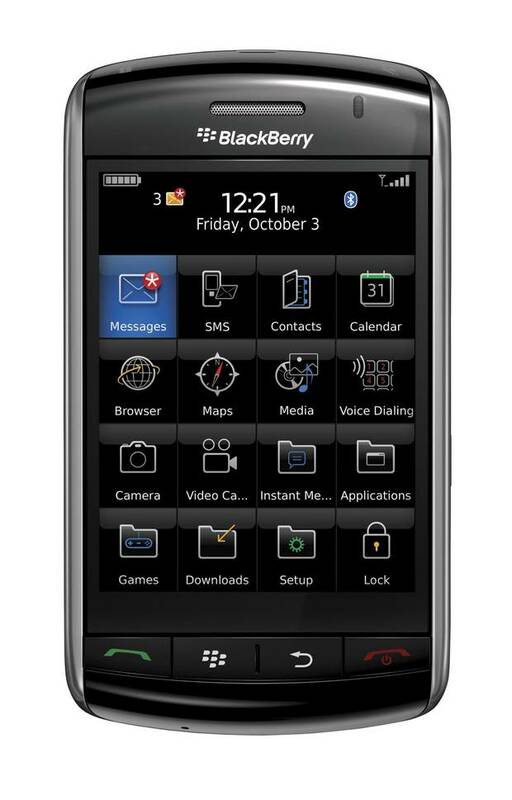 RIM was launching a third-generation phone that came with Wi-Fi, GPS, and a more powerful processor. To technology wonks in the theatre, corporate IT managers, and CIOs, Lazaridis made perfect sense. He was announcing the smartest new smartphone for business customers. But to investors, journalists, and non-engineers, Lazaridis might as well have been reciting algorithms. Three months later, in July 2008, Apple smashed the networks Lazaridis wanted to conserve by launching the App Store. The online outlet was stocked with software applications that iPhone users, then numbering 6 million, could download. A finger swipe could race cars through video games, book hotel rooms, and order food. Apple sold more than 10 million apps in three days. The number rose to 60 million in a month. By 2011, the App store was stocked with half a million apps and had registered more than 15 billion downloads. Bandwidth conservation was yesterday’s priority. AT&T’s networks were so clogged that customers began suing Apple and the carrier for dropped calls and other transmission headaches. The message was clear: wireless data traffic was only going to get bigger. The answer was not conservation, rather, it was bigger, faster wireless highways. While Lazaridis chased a new path with Project Storm, Balsillie pursued a once unthinkable opportunity in a northwest Chicago suburb. Schaumburg, Illinois, had been Motorola’s home base since 1976, to accommodate its expansion into communications equipment, pagers, semiconductors, and Quasar televisions. Its greatest success came in the 1980s and 1990s when it parlayed its pioneering cellphone technology into a global powerhouse, earning dominant market shares in North America, Asia, and Europe. By 2006 cellphones accounted for two-thirds of Motorola’s $43-billion in revenues. The glory days, however, didn’t last. Preoccupied with internal turf battles, Motorola’s “warring tribes” had missed threats posed by BlackBerry and iPhone. It had focused most of its attention on sleek phone designs, such as the ultra–thin Razr, failing to grasp that software-powered smartphones were the future. Motorola “didn’t have the DNA or the people” to understand the software, former CEO Ed Zander told Chicago Magazine. By the time Balsillie came calling in the spring of 2008, Motorola was under seige. Motorola’s core mobile device sales were rapidly shrinking, tumbling nearly 40 per cent in 2008 from the year before to $12.1-billion. Operating losses in the group, nearly doubled to $2.2-billion in the year, a humbling decline that prompted cantankerous shareholder activist Carl Icahn to wage a noisy battle to dismantle the company. Motorola’s misfortunes, Icahn complained in a public letter to shareholders, were the legacy of “blunders” by management. Under pressure, CEO Zander left the company, and its new chief, Greg Brown, was directed by Motorola’s board to explore a sale of its mobility business. When RIM got an overture from the U.S. company’s investment bankers, Balsillie and RIM’s senior executives jumped at the chance to acquire the struggling mobile division. Despite its market woes, Motorola had a treasure chest of assets. Its cellphone operations and global market channels could help RIM keep pace with runaway BlackBerry demand. Motorola phone hardware could be repurposed with BlackBerry operating systems and software. If a deal could be worked out, RIM would have more clout to face Silicon Valley rivals. 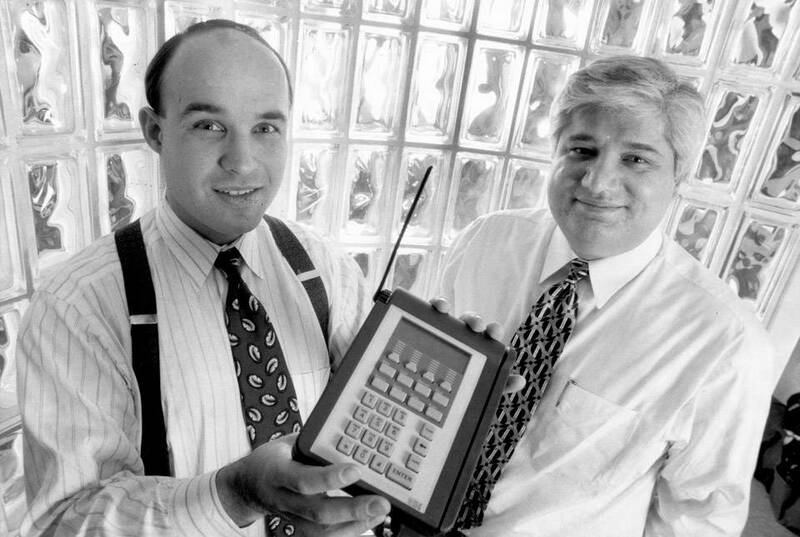 What Balsillie prized most of all was Motorola’s vast arsenal of intellectual property rights. There were an estimated seventeen thousand issued mobile patents, most of them for dated cellphone technology that was more valuable in the legal arena, where RIM and its competitors faced a constant onslaught of patent lawsuits. RIM’s deal maker was obsessed with intellectual property after the emotionally scarring NTP war. He lobbied governments on both sides of the border and spoke to business groups to push for reforms that might prevent the legal brinksmanship that nearly flattened RIM. Washington and Ottawa were receptive, but progress was slow. In this vacuum, tech companies strengthened their legal rights by acquiring patent collections from struggling rivals. With Motorola’s patent chest, RIM would hold a much stronger hand against patent trolls and competitors alike. After six months of negotiations, talks ended in August. For Motorola, the missed opportunity was devastating. With no buyers and a deepening global financial crisis, Motorola went into a tailspin. Mobility sales tumbled further and the company cut another 10,000 employees, reducing Motorola’s total employee count to 60,000 from a peak of 150,000 in the late 1990s. Balsillie walked away believing Motorola Mobility was worth little more than its patents. He would later regret underestimating RIM’s long-standing adversary. There is a small white building on Columbia Street, close to the University of Waterloo, where BlackBerrys were sent to be tortured. Beatings took place in a concrete-floored lab with a white, corrugated-steel ceiling, from which pipes, wires, and row after row of high-voltage lights hung. This was where RIM’s quality assurance team tested the limits of new BlackBerry models. Phones were thrown in swirling industrial tumblers, shaken by robotic arms, dropped on cement, and subjected to extreme temperatures. Afterward, a confidential report on phone flaws was circulated to product managers and executives. The meticulous attention to quality resulted in a low phone return rate, just 3 per cent. In the summer of 2008, the quality assurance team was itself a target of abuse. RIM had to ship hundreds of thousands of Storm phones to Verizon and Vodafone. That was a problem because the new phone kept getting failing test grades. The floor of the quality assurance lab offered grim proof of Storm’s fragility: shards of glass and parts everywhere. The phone’s hardware engineers rejected the test findings, however. The problem, they insisted, was the quality assurance team. The pneumatic pistons that repeatedly poked Storm touch screens were too rough. These phones were not traditional BlackBerrys encased in hardy metal and plastic – they were glass-covered. Storm had to be tested by humans, the engineers insisted. So they pulled in University of Waterloo students to test the phones in the quality lab. The dazed students sat in chairs repeatedly poking the glass screens of test phones for hours. The screens survived the rhythm of human touch, but other problems soon became evident. RIM’s founder worked closely with software and hardware teams to oversee the integration of the new touch screen with the company’s existing software. It had been a problematic marriage from the beginning because the poke-and-click touch screen was so unreliable that it activated the wrong responses unless its software was in good working order and various components were assembled with care. While Conlee pushed far-flung foreign and domestic parts suppliers and contracted manufacturing companies to stay on schedule, Lazaridis fended off complaints from company veterans begging for more time. Quality shortcomings forced RIM to delay delivery four months past the initial June deadline. Problems persisted and soon the October ship date looked impossible. The first phones rolling off production lines suffered from what RIM engineers called “high infant mortality rates,” a greater chance of failing in early life. The problems persisted as the Christmas selling season approached. If the phones were not shipped before late November, there was a good chance Verizon would walk from the contract. RIM senior executives agreed it was better to ship a flawed product than no product at all. To engineers, Lazaridis repeated the same mantra: “We’ve bet the company on this. It’s critically important. We have to get this done.” When problems persisted, RIM’s chief technology officer, David Yach says Lazaridis grew frustrated. “He was almost incredulous that it couldn’t be done,” he says. Lazaridis’s conviction that RIM could deliver a new phone within a year came down to faith, a deep abiding confidence in himself and his company. A follower of the Christian Science movement and Emmet Fox’s sermons on the transformative power of human will, Lazaridis believed people could, if sufficiently determined and talented, shape their own destiny. The fabulous success of BlackBerry only cemented that belief. Where would RIM be if not for his and Balsillie’s persistence in the face of countless near-fatal reversals and product challenges? BlackBerry lived because Lazaridis and Balsillie never gave up. Ever. “Mike believes that the mind can will things to happen,” Balsillie says. And Lazaridis always aimed high. He didn’t just want to catch up to Apple. Storm had to be better than the iPhone. “Mike thought of himself as Canada’s Bill Gates. He wanted to beat Steve Jobs,” Balsillie says. For his part, Lazaridis says the rush with Storm was unavoidable: RIM couldn’t afford to say no to the biggest contract in its history. Besides, RIM’s engineers had done the impossible before, pushing out the Pearl in less than a year while juggling other phone launches. He was confident the magic would work again with Storm. “This is a team that prides itself on pulling off miracles, pulling all-nighters, working hard, solving the most complex problems, getting things done on time, getting things done under the wire. This is a team with a can-do spirit,” he says. At first Lazaridis’s faith appeared to pay off. RIM had assigned a team to hand-assemble Storm phones before they moved to mass production, and the results were impressive. Under expert hands, the movable screen had been carefully calibrated to react to user clicks. The phones worked flawlessly and Verizon’s executives, according to RIM officials, loved the early samples. It was a different story when the phones were mass-produced by RIM’s manufacturing partners in Mexico and Europe. Our editor had a hard time typing on the Storm's clickable touch screen and navigating its predictive text. 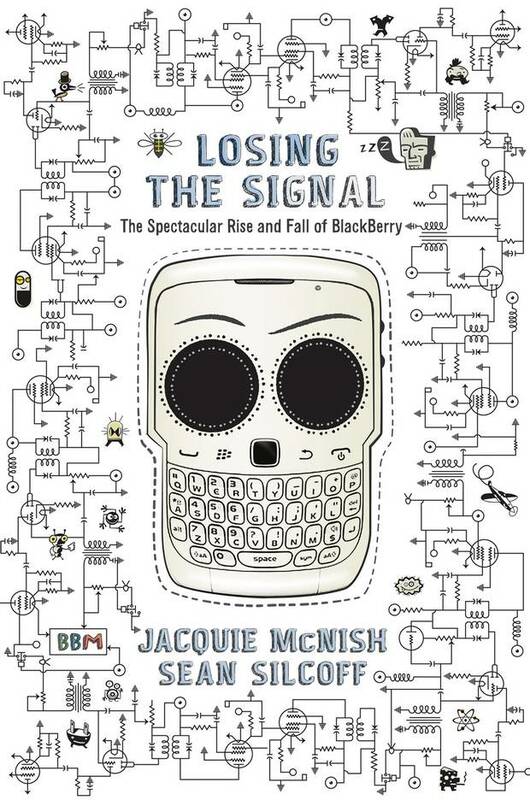 Excerpt from: Losing the Signal: The Spectacular Rise and Fall of BlackBerry by Jacquie McNish and Sean Silcoff, coming out May 26. © 2015. Published by HarperCollins Publishers Ltd. All rights reserved.